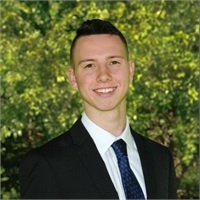 Nick initially joined our team in July of 2017 as a summer marketing intern and returned to SFP Wealth in May of 2018 as our Marketing and Client Services Coordinator. Nick is responsible for creating and developing all proprietary marketing pieces and managing all social media platforms, including the firm’s website, LinkedIn, Facebook and Twitter accounts. He is responsible for coordinating all activities related to consumer satisfaction including client events, education seminars and client outreach with a primary goal of ensuring outstanding client service. Nick graduated in May of 2018 from the University of Massachusetts Amherst with a bachelor’s degree in Communications and a concentration in Marketing. Outside of the office, you can find Nick staying active at the boxing club or hanging out with friends. He also enjoys mixing music and playing the drums. During the summer months, you might find Nick vacationing in his favorite summer spot York, Maine.